Phuong Nam Films released dozens of Vietnamese classic movies on DVD in late April 2010. In connection, veteran actors who starred in these movies spoke to audiences about their careers and their memories of participating in these classic movies. The famous pictures distributed on DVD include: “Chung Mot Dong Song” (Sharing a River), “Con Chim Vanh Khuyen” (Zosterops), “Bai Ca Ra Tran” (The Song of the Battlefield), “Noi Gio” (Wind Rises), "Moi Tinh Dau” (First Love), “Lang Vu Dai Ngay Ay” (Vu Dai Village in the Old Time), “Chi Dau” (Mrs. Dau), “Biet Dong Sai Gon” (Saigon Special Taskforce), "Vi Tuyen 17 Ngay va Dem” (17th Parallel Days and Nights), “Chi Tu Hau” (Mrs. Tu Hau), “Dem Hoi Long Tri” (A Night of Long Tri Festival) and more. Film lovers will have a chance to enjoy famous films of the 1960s and 1980s with well-known actors and actresses of the time, including, Phi Nga, Manh Linh, Huy Cong, To Uyen, Thuy Van, Tra Giang, Tran Phuong, Lam Toi, The Anh, Bui Cuong, Mai Chau, Nhu Quynh, Phuong Thanh, Vu Dinh Than, Tran Quang, Thuong Tin, Ha Xuyen and others. 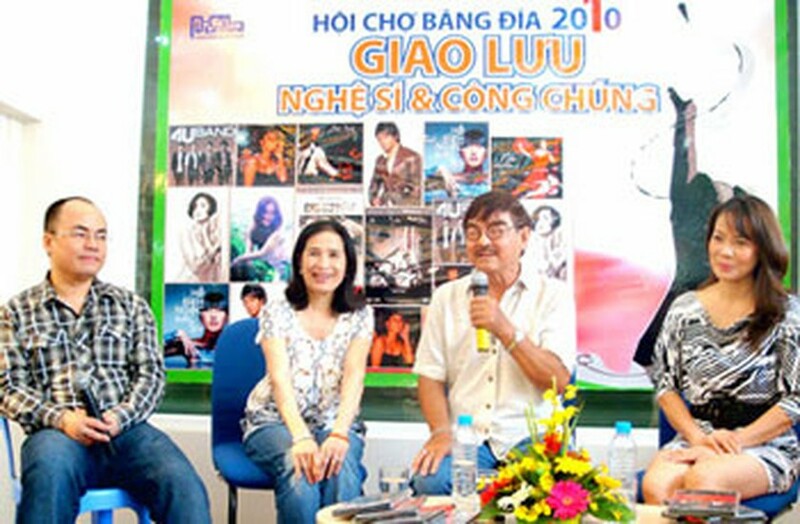 At the talk, singer Hong Hanh said that is was a great honor for her to meet with Tra Giang and The Anh, stars of “Moi Tinh Dau” (First Love). In the film, her father, musician Nguyen Huu Thiet, played the part of a bourgeoisie. Actress Tra Giang told about her roles based on real people that stirred her heart. The Anh said that hard training was the key to his success. “Acting is a creative career. An actor must have cultural and career knowledge to grasp the character’s internal life. Actors and audiences wondered whether the Vietnamese movie industry would produce valuable films like these classic works in future.